Astrologically this is a busy week. 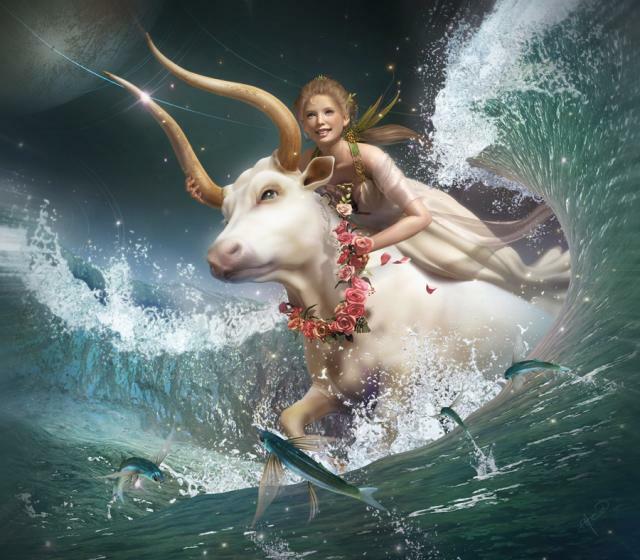 On Friday the Sun moves past earthy Taurus into the mentally stimulating sign of Gemini. That changes your focus. 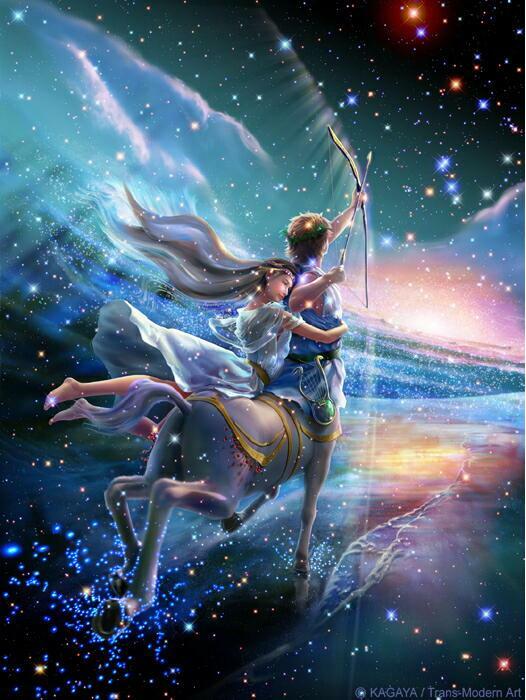 There is a full Moon in the sign of Sagittarius on Saturday. 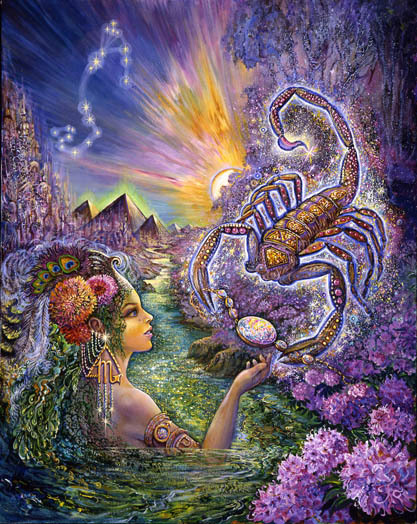 It’s an impatient, energetic, informative Moon, with feisty Mars intricately involved. 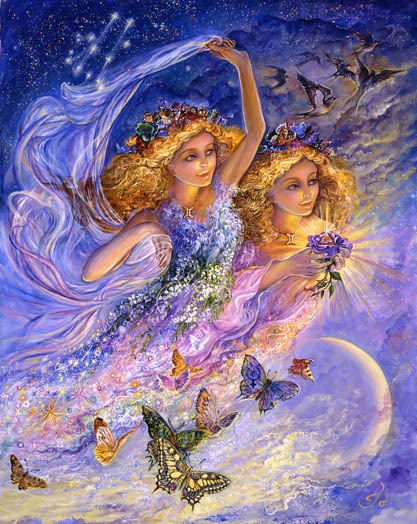 On Sunday Mercury ends it’s retrograde phase, changing direction and reversing course. The gates are slowly opening allowing you to pass through after a necessary period of waiting, reconsidering, and filling in missing pieces. Even though our focus changes with the Sun into the airy world of thought – we remain influenced by practical concerns, conservation, and finding something substantial to hold onto. We continue to attend carefully to the unfolding masterpiece that is our life as we decide where to focus our efforts, what needs to expand, and what needs to be abandoned. In the interest of self-improvement our old perspective may need to be replaced by something more truthful. Sometimes Mercury retrograde can be very clarifying and when it turns direct. Until September we continue to analyze what we need and what field of experience holds the most promise for expansion. 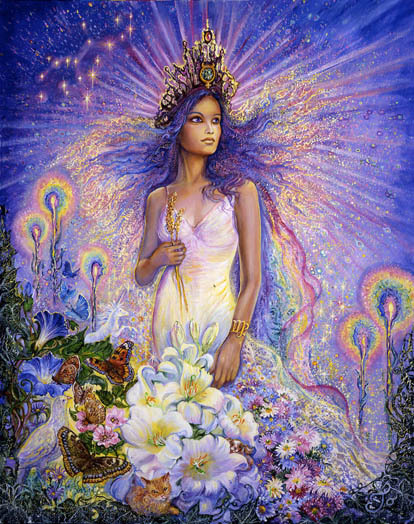 Essentially we are perfecting ourselves in ways that allow for a more honest role within the realm of relationships. The momentum for believing that we can move on to something better is building as our mind expands. Be alert for signs of something new showing up within your range of influence. If someone casually recommends something to you, consider it carefully. Dreams intensify for some. Saturn, Neptune, and Jupiter are moving into a complicated configuration that will, as it progresses, ensnare other planets as well. The urge to limit, to dissolve, and to expand are in conflict with each other. Lots of mixed messages, hard choices, doors closing behind you, and others opening before you open. 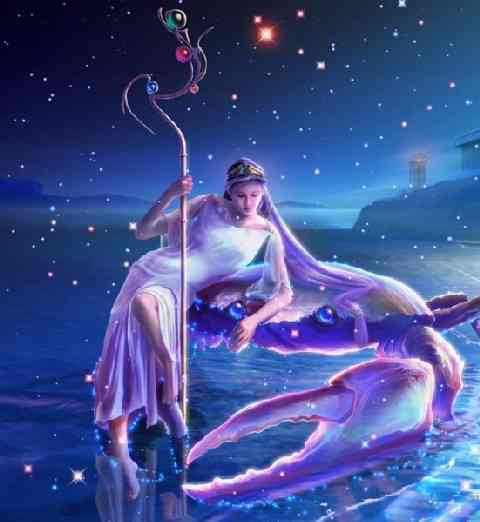 Through mid-August retrograding Saturn continues to require effort to complete what’s been left undone. You are, or soon to be, a stranger in a strange land with all the advantages, adventures, and challenges that implies. It’s time to dig deep to discover which valuable pieces of yourself need to be brought back to life and what must be released so you can safely and intelligently navigate through some unprecedented new adventure. The coming months seem filled with the promise of finally finding your true home. 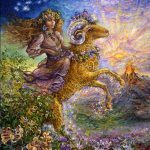 Aries richest, most beneficial associations this week are with those who open his mind to something new and different, mysterious, and unfamiliar. Sticking with what you know and practicing skills you’ve already mastered, can be stultifying. Your beliefs crave some kind of transformation and your mind longs to be opened and stretched in the direction of something more effective, exciting, and adventurous. Ideas are highlighted and highly energized this week. 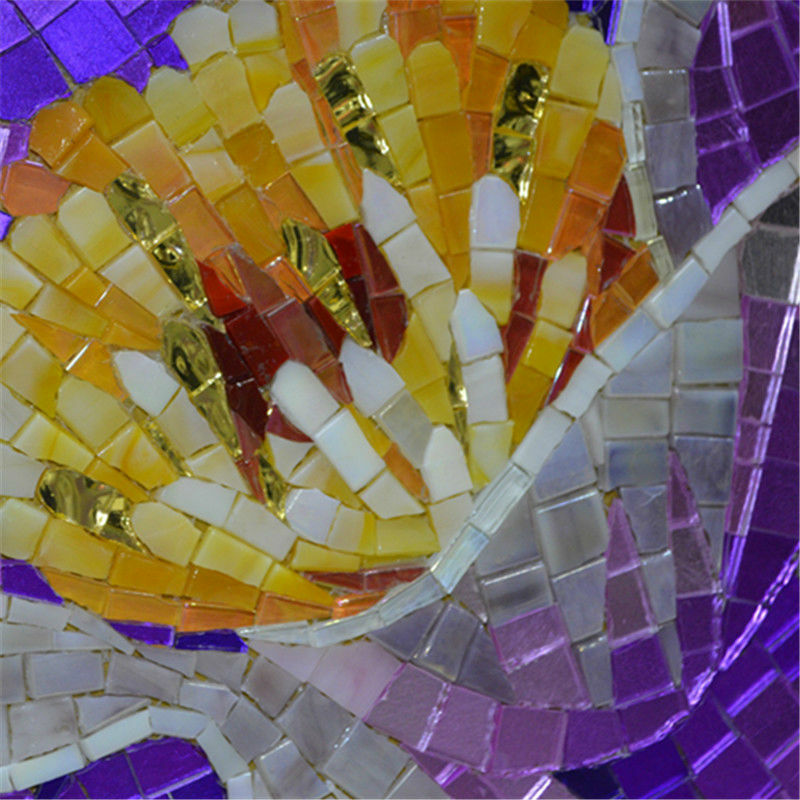 You may be exposed to an idea so sublimely beautiful that its challenging to convey. Or you may encounter an idea that holds great promise within some practical realm – i.e. making money. 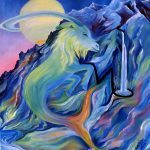 Most likely you will encounter information about methods you can apply that will be both highly effective and profoundly healing – as long as you deliberately stimulate your mind with something unfamiliar and maybe strange. 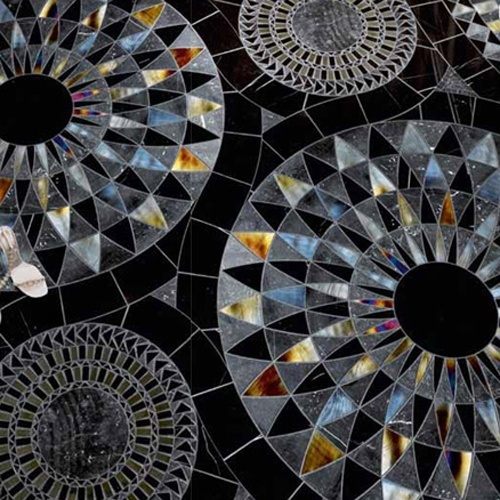 Alter your state of consciousness naturally, travel, make an effort to connect with a few highly inspired philosophers, lonely geniuses, street-wise wanderers, and kids willing to share their thoughts. 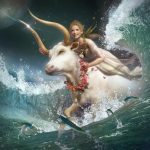 As Mercury changes into direct motion on Sunday, in the substantial, unhurried sign of Taurus, he would like to clarify something for you. The information is heavy though, rich with symbolism, dripping with insight, embodying wisdom of the ages, or something of great personal significance to you. The information requires your full attention and concentration, a willingness to mull it over, to search for the meaning and significance, and to deeply absorb the information into your bones and into your life. The information has the capacity to open your mind to the truth about your past and your relationship to the memories your mind cultivates. It prepares you to solidify an approach to life that is easier, more graceful, more intelligent, and more aligned with the truth of who you are. There is the possibility that you’re becoming unshakeable, unfazed, and steadfast – and increasingly aware of the magnitude of how profoundly you’re changing. Others take notice and may express an interest or not. Either way you’re unfazed as you have the chance to become completely stabilized within yourself – and your future opens up. 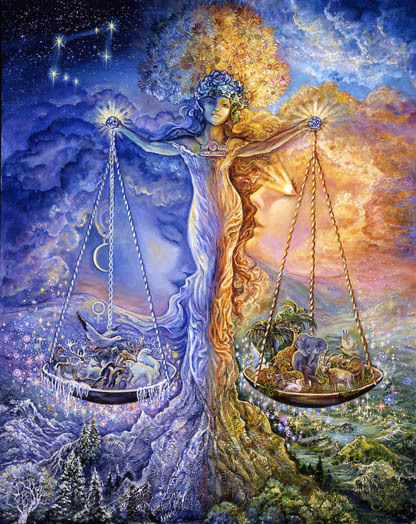 This week what hangs in the balance is the extent to which you will be willing to consider your instincts and what they convey rather than relying solely on your intelligence and acquired wisdom. 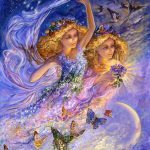 For Gemini it’s good to know that there is a fair amount of ego attached to your mind – ego attached to your ideas, your ability to problem solve and make the right connections. As satisfying as it is to engage your brain, this week you are challenged to detach from that and, in the process, to detach from your ego. Simple is better. Sensual information may be more reliable, and what you feel is probably the smartest indicator of the most effective solution for you. Venus is getting ready to move over your ascendent (next week) with some new gift for you in hand. Most likely it is information that makes your healing role within relationships easier and more effective. 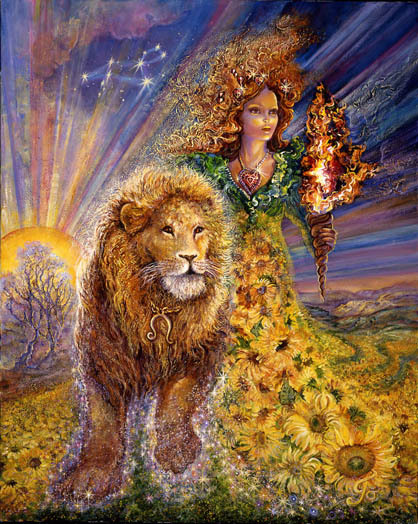 Meanwhile she exerts a powerful protective role over your subconscious mind and your “still-gestating” possibilities. The Sun moves into your 12th house of things that are usually hidden from you, and things you are routinely denied access to until you alter your normal state of consciousness. Sleep is an altered state of consciousness and it is likely this week that your dream life will be active and unusually informative – maybe in life-changing ways. In terms of your future you might be in an unusually receptive state, unusually open to new possibilities, new ideas, new information, and a brand new vision. The universe senses that and is willing to provide you with some enlightened possibilities, improbable scenarios, and information you need to make your next best move. It’s important to disconnect from preconceived notions about what you think is possible and what you’ve decided you’re capable of. So put the pad of paper and pen at your bedside. Discipline yourself to jot down your dreams as you become aware of them no matter how tired you are. Also pay special attention to old memories that surface for no apparent reason. There is a reason. 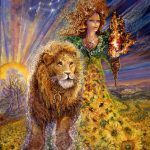 As the Sun moves into your 11th house of friends, alliances, and associates, expect to be mentally stimulated by those you come in contact with. You’re ready for this. Your mind may be tired of the same old, same old. Interesting people with different skills, inventive ways of doing things, enlightened ideas, bigger dreams, different perspectives, and different beliefs enrich your life and, from a practical standpoint, improve your chances for success. 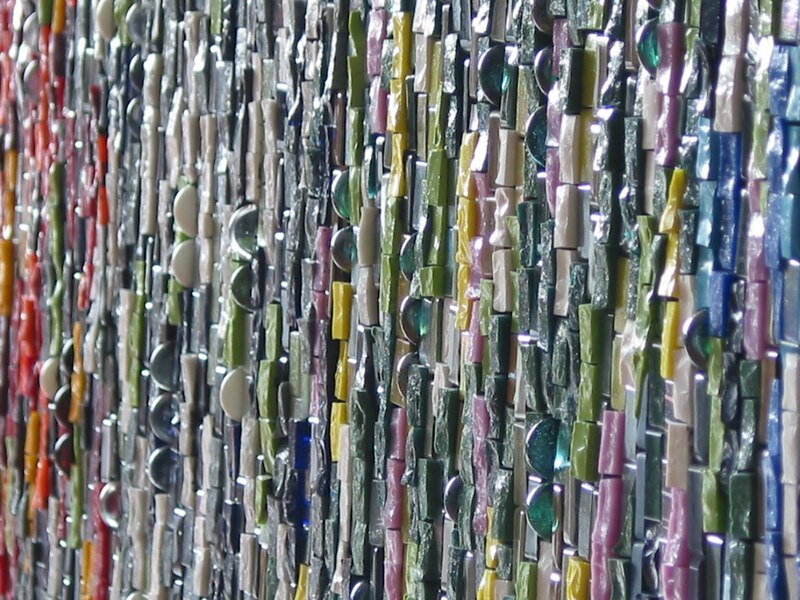 Seek out the crazy genius and the one willing to break some creative rules – or to break the rules creatively. As tempted as you are to stick with those most familiar to you – your reliable contacts, and current circle of contacts – I advise you to branch out. There is a whole pool of ideas and a whole spectrum of reality you’ve never considered that could make things much more interesting and make you much more effective. Your mind needs to be opened, your beliefs expanded, and your perspectives changed and enhanced to serve you better. 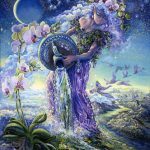 Virgo fixes things and does not usually throw things overboard if they can be improved upon, healed, or, in some way made it better. 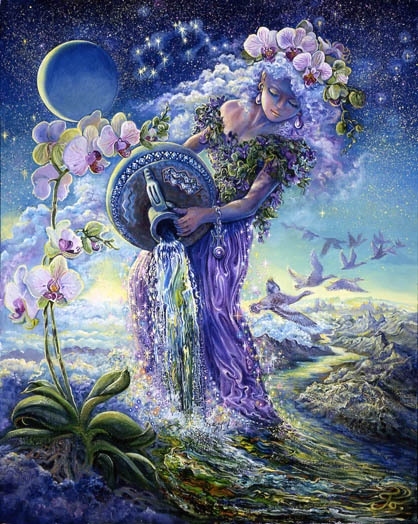 Virgo concentrates intently on whatever projects they decide to undertake. You may be in the process of undertaking something complicated, with lots of moving parts. There is potential for hurt feelings, for unintended consequences to emerge, for encountering something you didn’t plan for, for undermining your own sense of self-worth and competence, for wasting your time, and, ultimately for failure. For sure you will not fix whatever’s broken in a way that feels absolutely perfect. But you will make it better, more satisfying, more perfect – and, in so doing, express the truth of who you are which is more radiant than you thought and more powerful than you or anyone could have imagined. That alone is worth your effort. Putting an end to something you’ve always loved or something that has, in the past, given you great pleasure or solace, changes you in fairly profound ways. An acknowledgement that you must say goodbye to something precious may be followed by a period of grief and transition. But after that you notice that a new door is opening, that you’re being freed in some important way, that your life can now become bigger and more vital as you introduce – or are introduced – to something new. Endings make room for new beginnings. There is pain involved and you may experience that this week. But without endings things stay the same, gradually lose their vitality, and eventually become toxic. 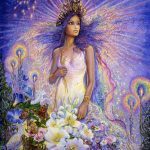 Now is your chance to express gratitude for what once was and to open your mind to the possibility of an emotionally fulfilling future that would not have been possible without the loss. If you have the option to hold on and not let go, consider that very carefully. 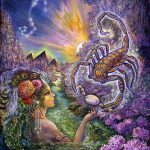 Scorpios focus deepens this week as they concentrate on providing themselves with a more substantial form of nourishment. Information and people that open your mind – revelations of truth that feel refreshing after years of carefully guarding secrets and pretending, a clean break from uninspiring jobs and responsibilities, a new vision for your future that breaks the old rules you’ve always had in place for yourself, and maybe a commitment to operating at a higher frequency in places that allow you to fully express the truth of who you are – are calling you. To the extent that you can disengage from fear (a low frequency vibration that stresses your body) it’s time to do it. Your physical health seems dependent on the extent to which you can figure out more nourishing ways to feed your soul – not at some point in the future, but right now. You have come to the end of the road making things look good. Now it’s time for them to actually be good. Start by telling yourself one simple truth about yourself. As Hemingway famously advised, start by writing the truest sentence you know. 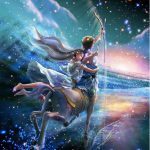 Sagittarius can go from 0-60 in a matter of seconds, feeling suddenly inspired and highly enthused by a new idea, challenge, or vision. As they focus on building momentum they can skip over the details of the time and effort it’s actually going to take to manifest whatever’s exciting them in the moment. When the details become clear it can feel disheartening. Sagittarius is not a patient sign. But it appears that there is some challenge you’re facing, some promising idea or vision you could manifest, that may be totally worth your time and effort. Do not be fooled though. 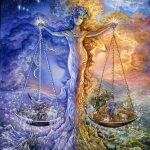 Whatever you have in mind will exact a price from you in the form of detaching you from an old way of being, an old way of thinking, an old belief system, an old delusional frame of reference – especially within the realm of relationships. It will be difficult and it may take time to unravel your old ways. You are standing on a threshold and the decisions you’ll be making are pivotal. The choice seems to be freedom through truth or a life lived in a relative state of confined boredom. 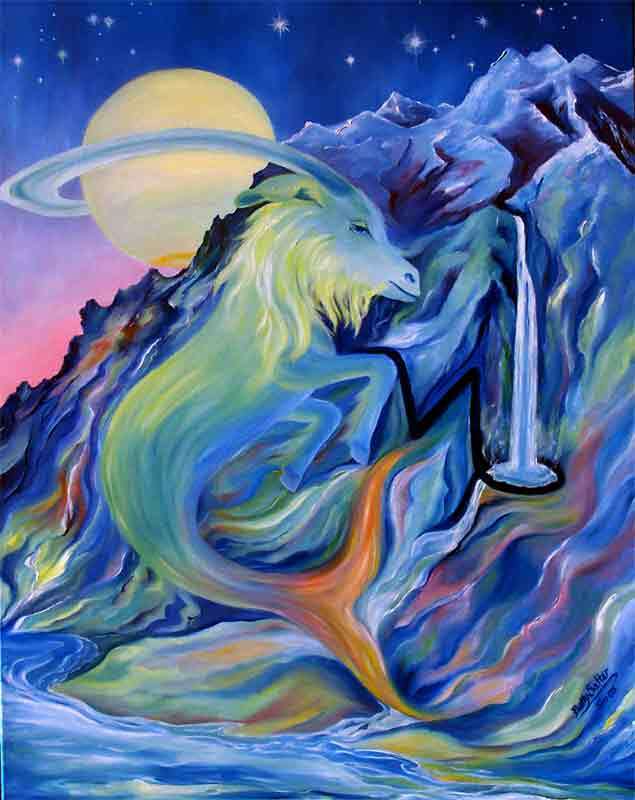 Capricorn may be in the process of creating something essential to their future professional success and freedom. Maybe it should have been created awhile ago, but there was some emotional muck you needed to wade through first. The full Moon culminates with you healing some emotional deficiency, distortion, or insecurity and further transmuting it into a strength and a valuable asset that gives you the courage to demand more for yourself. Essentially you are bringing to a close a self-imposed period of imprisonment where you operated beneath your full capacity for reasons I cannot identify. Whatever internal limitations stopped you in the past, are being erased. Happily you can look forward to a new level of passion for your work, better health, and a role that highlights your strengths and creative contribution. A month from now you’ll be taking your show on the road in a more public way. Chances are you will be strongly supported as you take on a more truthful and consistent role in the world. 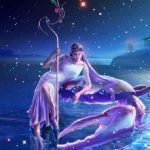 Aquarius in on the verge of acquiring more of what they value most – inner liberation that frees them to lead the life they were born to lead, free of distortions, fears, and obsessive or delusional thoughts. Having been tightly locked in by an inflexible mindset, desperately determined to keep the lid on a situation that continually threatened their future and maybe their survival, the life they led was confined and poorly nourished. Now something has changed – maybe suddenly – that allows you to see old mental patterns for what they were – fears obscuring the truth. You may now be able to fully focus your attention on something joyful and loving – something you have not been completely free to do for quite awhile. 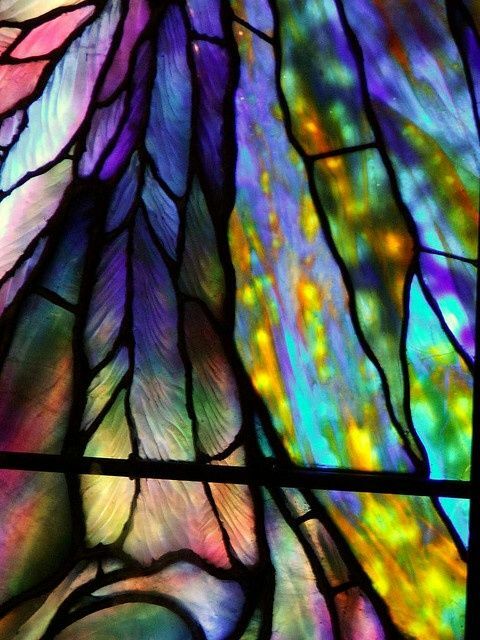 Creativity may flourish as your mind begins to operate at a higher frequency and moves you into new territory. That new territory may feel, in an esoteric sense, like coming home. 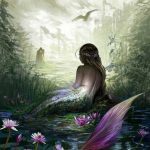 Pisces May experience this week a groundbreaking new approach to their past that unsettles and inspires at the same time. It seems that your approach to life has been fueled by a thought process or mindset that is being seriously undermined with some critical new information – or a dissolution of old, limiting beliefs. What you assumed to be true was not – or it wasn’t the complete picture. What informed your direction in life and your approach to something old you could not shake off, is quickly dissolving. This requires many adjustments. Those may involve getting used to greater freedom, a existential sense of relief, and the ability to understand the truth of who you are and have always been. The earth is moving beneath your feet changing your relationship with yourself rather dramatically. Forgiving yourself may seem much easier. Joy sees a chance to creep back into your life.